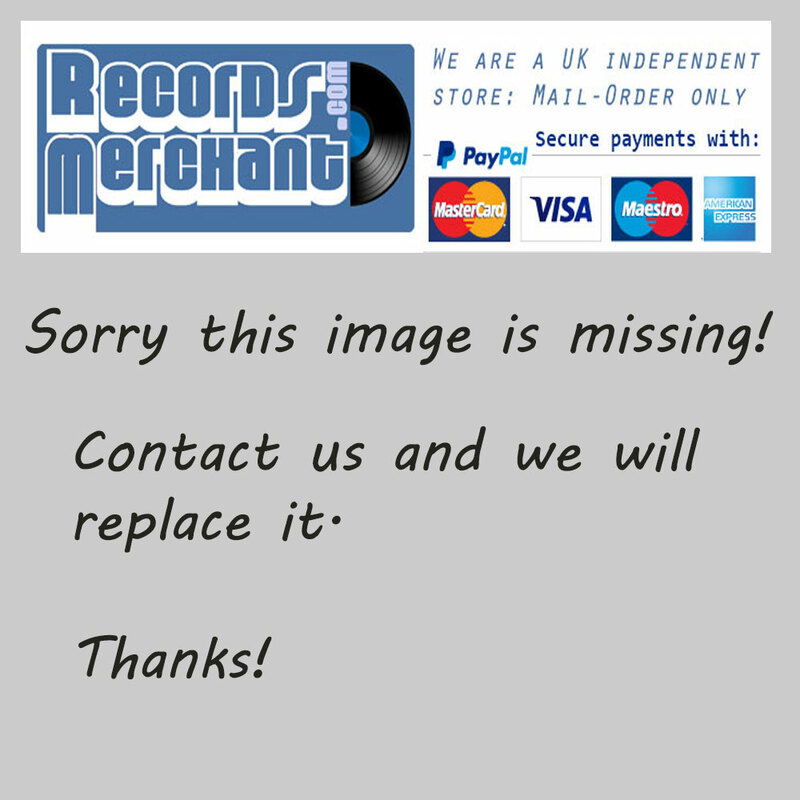 Format: Vinyl Record LP, Jugoton Records. 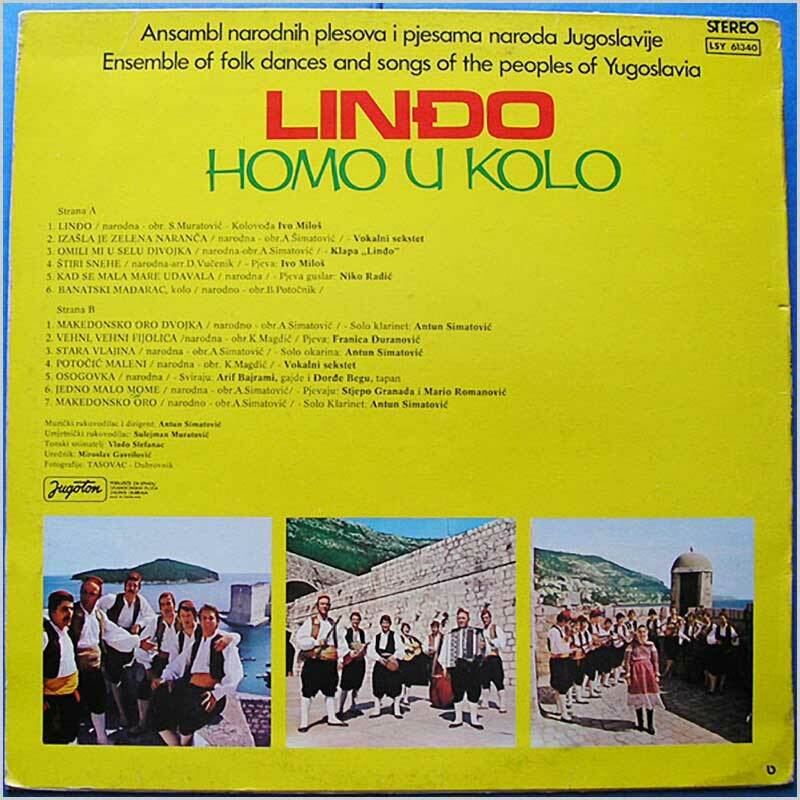 Yugoslavia release. Roots music LP release from Neda Ukraden. Yugoslavian Ballad, Vocal Roots music LP. Some handling wear and tear to jacket. Creases on corners of jacket. Some light scuffing to record. Format: Vinyl Record LP, Jugoton Records. Yugoslavia release, no date. Roots music LP release from Ivan Goran Kovacic. 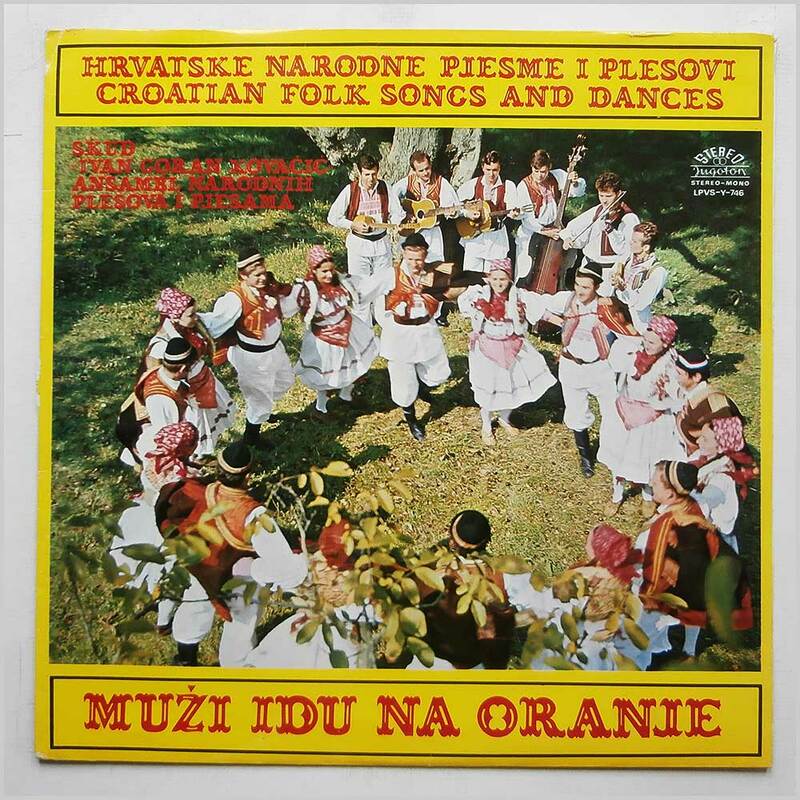 Classic Yugoslavian Croatian Folk Roots music LP. Record labels are the Jugoton blue and silver coloured versions. Format: Vinyl Record LP, Jugoton Records. Yugoslavia release from 1967. Roots music LP release from Tamburaski Orkestar Julija Njikosa. 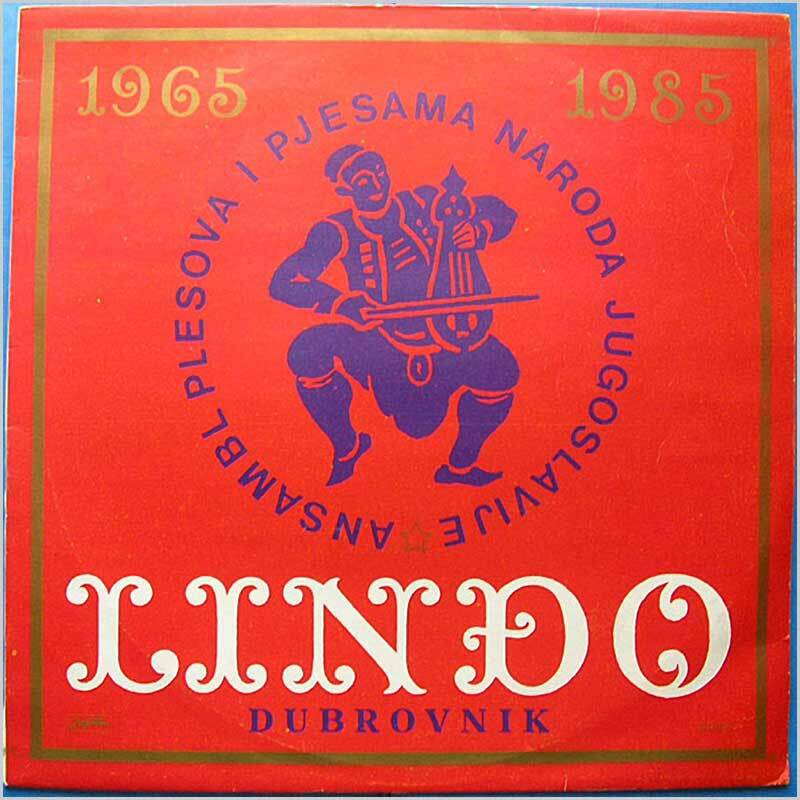 Classic Yugoslavian Croatian Tambura Roots music LP. Record labels are the Jugoton red coloured versions. Format: Vinyl Record LP, Jugoton Records. 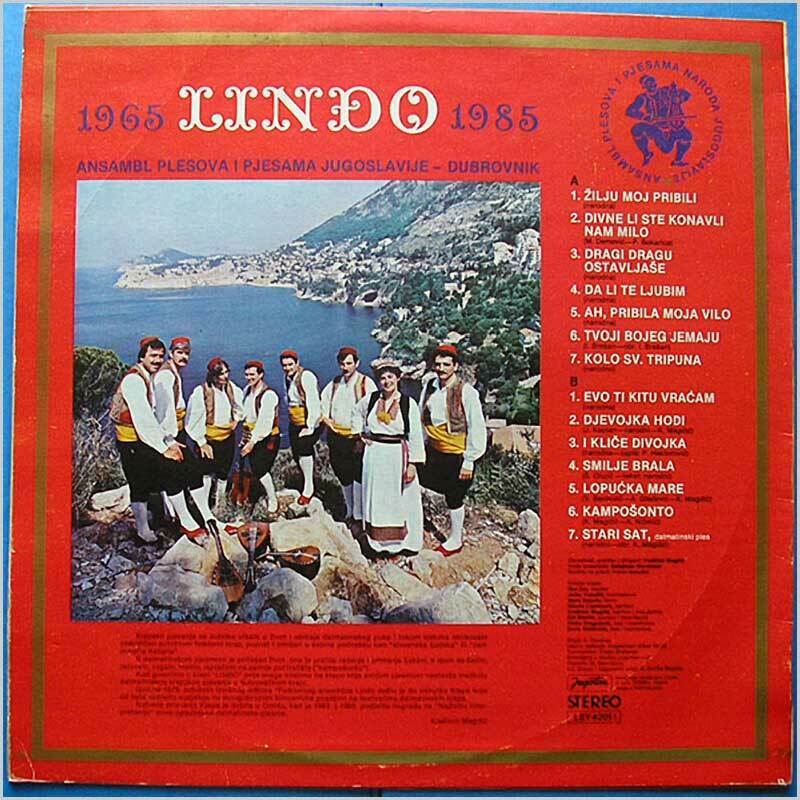 Jugoton Records release from Yugoslavia, no date. Late 1960s or early 70s LP release. 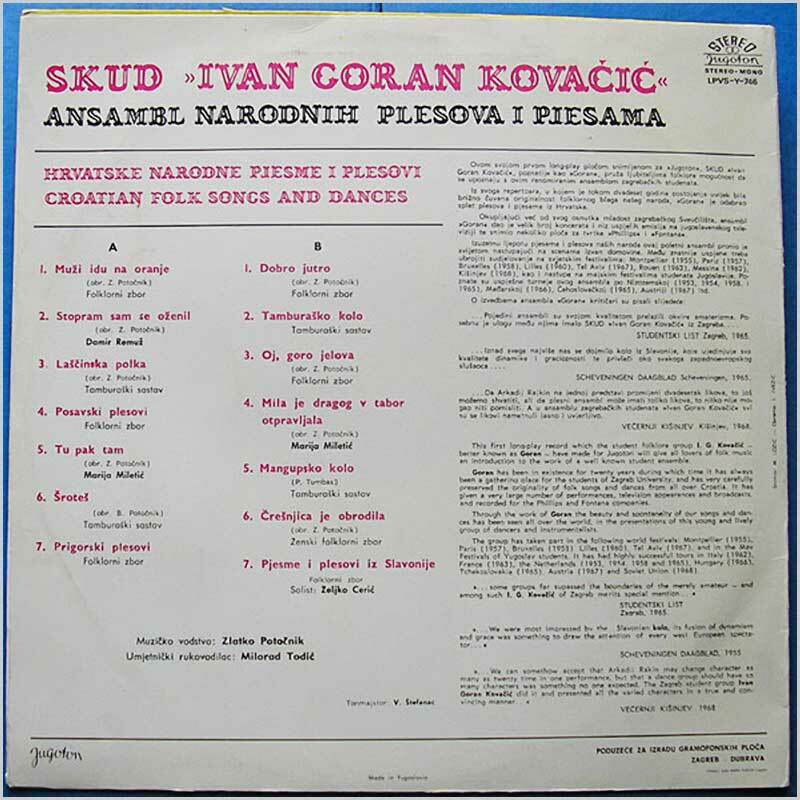 …the first LP record which the student folklore group I. G. Kovacic - better known as Goran - have made for Jugoton…. 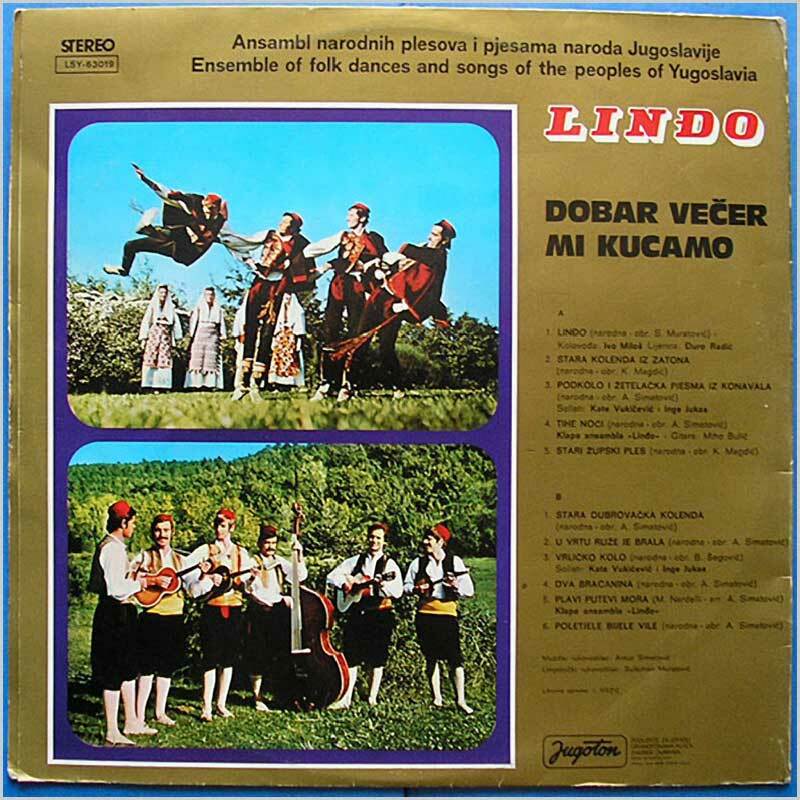 Yugoslavian folk music ensemble. 14 tracks. Format: Vinyl Record LP, Jugoton Records. 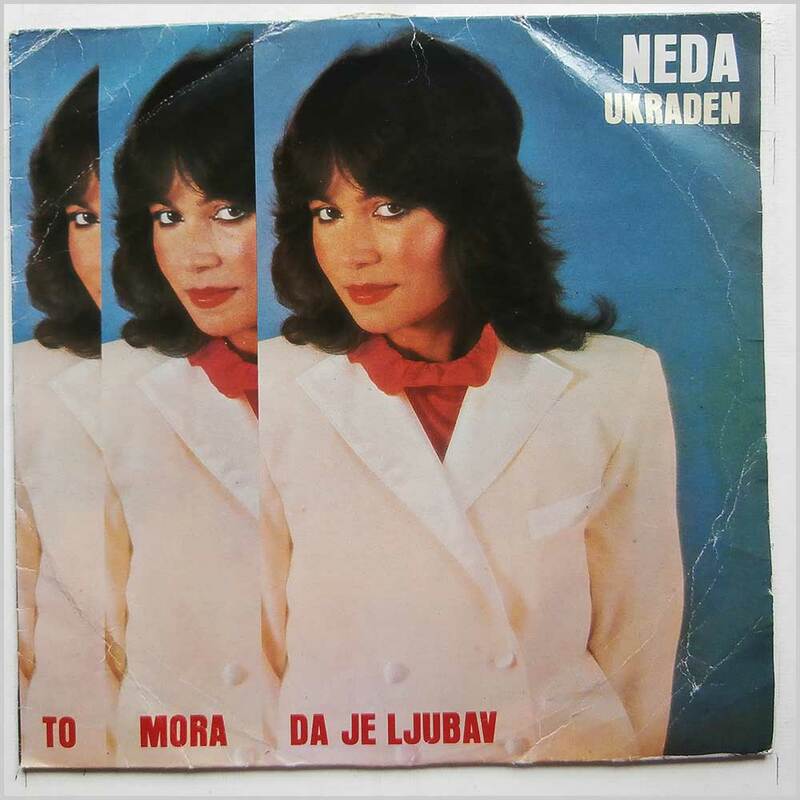 Jugoton Records release from Yugoslavia, no date. Dalmatian folk ensemble, close harmony singing with mandolin (tambura) accompaniment, typical of the region. 14 tracks. Format: Vinyl Record LP, Jugoton Records. 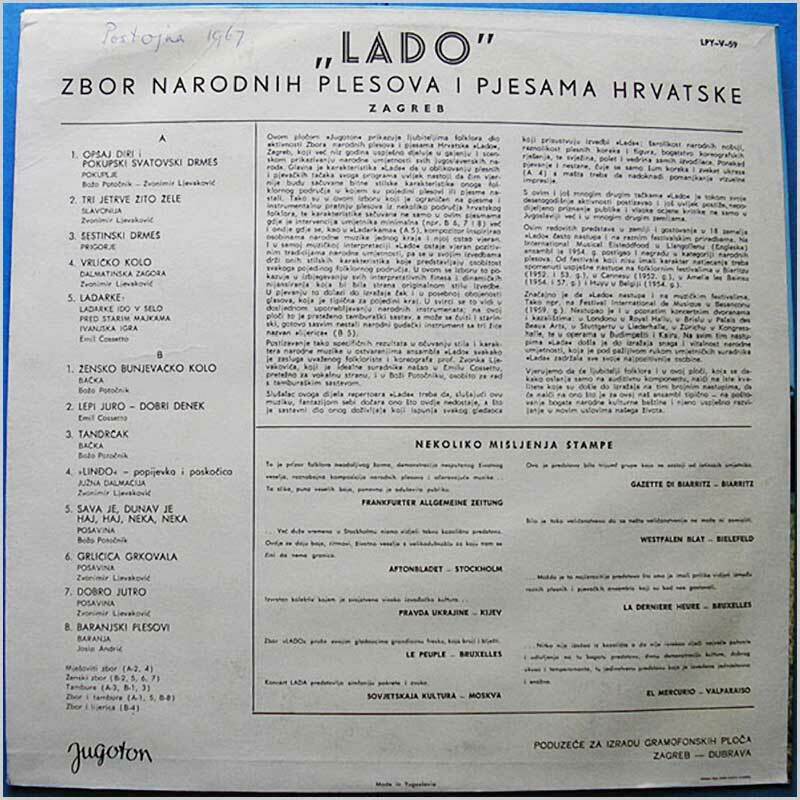 Jugoton Records release from Yugoslavia, no date. 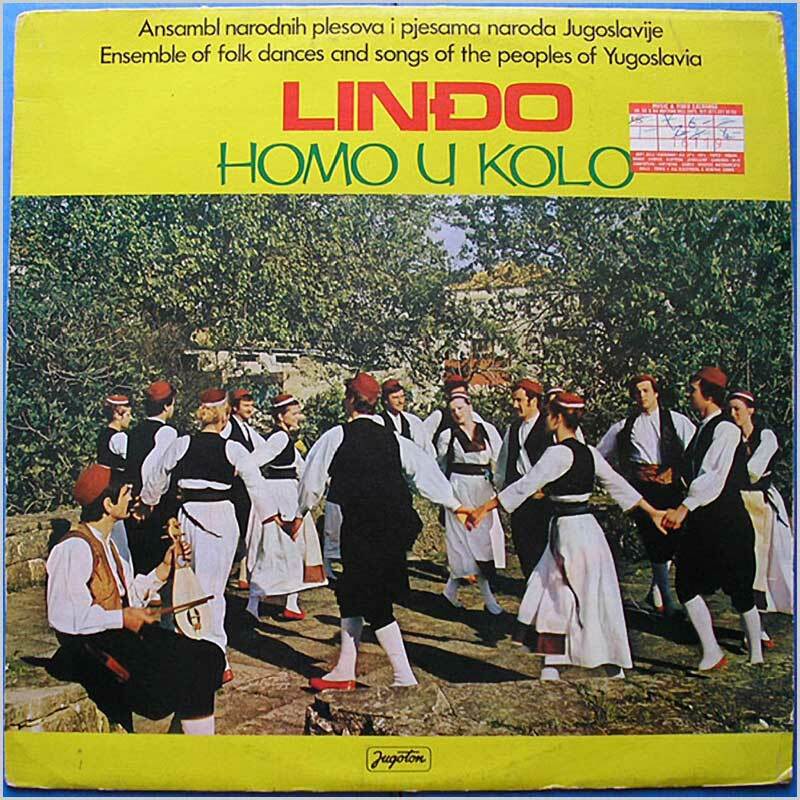 Lindo - the ensemble of folk dances and songs of the peoples of Yugoslavia. Formed in 1965. Folk music and dances (kolo, oro etc.) from different parts of former Yugoslavia played on clarinet, bagpipe etc. 13 tracks. Old price ticket on jacket front. Format: Vinyl Record LP, Jugoton Records. Yugoslavian release no date. Lovely old 1960s(?) release from now defunct Jugoton of traditional folk music and dances including kolos etc. 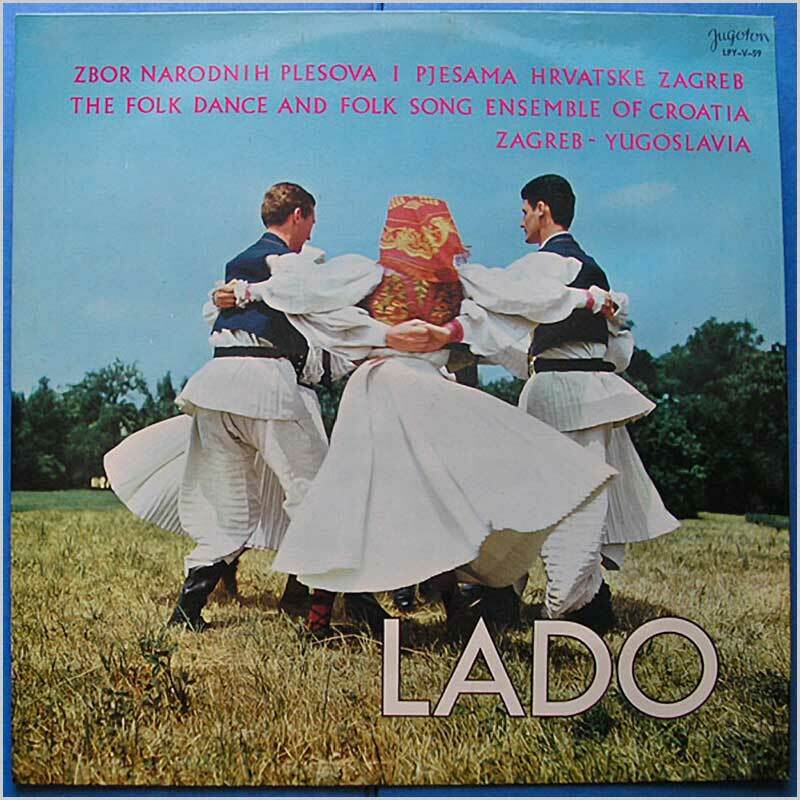 Lado are the National Folk Dance Ensemble of Croatia. 13 tracks. Format: Vinyl Record LP, Jugoton Records. Jugoton Records release from Yugoslavia, no date. Gatefold jacket release. 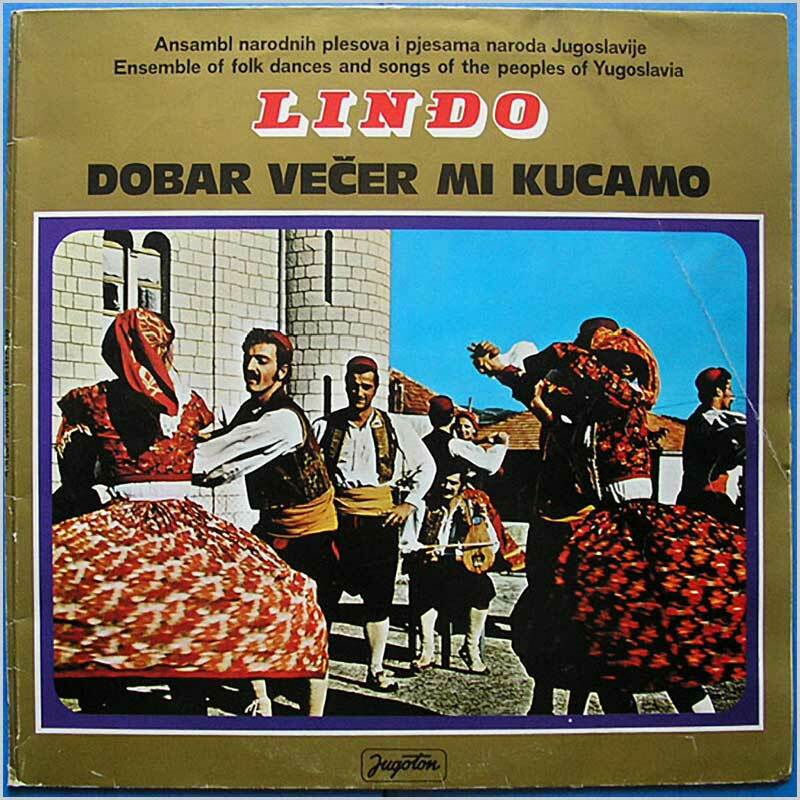 The folk and dance group Lindo from Dubrovnik, Yugoslavia who formed in 1965. Folk music and dances (kolo, oro etc.) from different parts of former Yugoslavia. 11 tracks. Format: Vinyl Record LP, Jugoton Records. Jugoton Records, Yugoslavia, release, no date. Original release from now defunct Jugoton label. Tambouritza orchestra led by musician, composer, conductor, musicologist, researcher, music critic and journalist, Julija Njikosa. Njikosa is well known for documenting the music of the eastern Croatian.